Posted on 8th March 2018 at 15:00. With PC Building Simulator being released in just under 3 weeks time [Shock emoji], we’re delighted to add another hardware manufacturer into the mix. You’ll be able to fit SilverStone parts to your builds when the game launches on March 27th! PC Builders will have access to numerous SilverStone parts including their slick, heavy duty cases such as the PS14, the PM01-RGB and the TJ11. To power these virtual rigs, SilverStone PSUs will be available with Builders having the choice of the Strider Platinum series, the Essential series and the Strider Titanium series. To keep the PCs as cool as they look, various industry-leading CPU coolers from SilverStone will be available, such as the NT06-PRO. 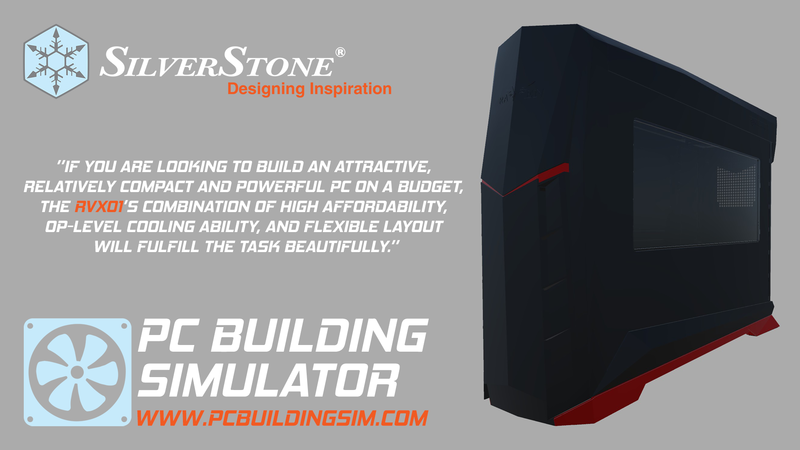 What are your thoughts on the newest addition to PC Building Simulator? Let us know in the comments. Will pre-order be available at some point?